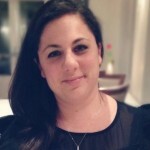 Lana is a Chevening scholar from Jordan, pursuing a master’s degree in Music Education. 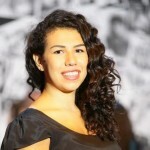 She is also a Choreographer, Dancer, Singer, Music teacher, Co-founder of Lali’s kids dance group and Member of Tarab 3al 7atab, the Jordanian a cappella group, which reached the semi-finals of Arabs Got Talent in 2015. Lana holds a Pharmacy Doctor degree and ABRSM Grade 8 in Piano as well as an honours degree in Classical Ballet from the Royal Academy of Dance. She always goes from place to place, juggling loads of projects, all the time smiling and happy to be doing what she loves most: singing, dancing, and teaching children to perform. Jessica has been a music co-ordinator in an inner-city London primary school for three years and also teaches music in the classroom. She also coordinates music placements along with early years music teaching for a smaller organisation in London and has led her junior choir in performances in some of London’s great performance spaces such as, the Royal Festival Hall. Jessica went to theatre school as a young child where she found her passion for singing and later taught herself how to play the keyboard and violin. She is an avid singer-songwriter and loves being able to share music with children which she considers the highlight of her job. She is very excited to be a part of the LEYMN apprenticeship programme to continue developing knowledge and skills in early years music education. Originally from Malta, Laura has performed all over the UK, from the back of a trailer van in the Highlands to the Royal Festival Hall. Equally at ease performing on period instruments and performing as a free improvisation artist, she studied at Trinity Laban Conservatoire of Music and Dance and Edinburgh Napier University. She performs with Scottish Opera, Malta Philharmonic Orchestra and is a member of the award-winning Risatina Quintet, Duo Aulos, and The Silver Pencils Flute Collective who hold a monthly residency in SET, Dalston. 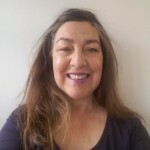 Laura specializes in whole class teaching with Key Stage 2 students, teaching Flute, Recorder, Keyboard and Ukulele across Newham and Greenwich Boroughs. She places a lot of emphasis on ensemble playing and creative music making (composition and improvisation) in her teaching and incorporates these elements from the very beginning of her students’ musical journey. Laura looks forward to learning from some of the specialists in the early years music field as a part of the apprentice programme. Jackie founded Les Petits Tigres in South London to promote early years language learning and French culture. 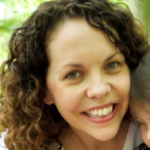 Jackie has a Bachelor of Arts in French Studies and a PGCE in Modern Foreign Languages. She has taught in schools and privately in America, France and England. Jackie is primarily a self-taught musician and now, rather than being on stage, she can be found in nurseries and child-friendly venues using her musical skills to help children and parents learn languages while having fun. A creative and enthusiastic practitioner, she is passionate about language learning and feels that you’re never too young (or old!) to start. 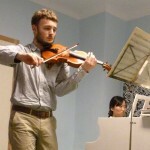 Matthew currently studies violin at Trinity Laban Conservatoire of Music and Dance and continually seeks opportunities to build a diverse experience of music in education and community settings, passionately believing that music enriches our lives with empathy for one another and for the world we live in. 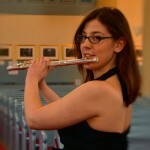 Emma has been passionately involved in instrumental music education since 1999 both in the UK and Australia. In that time, she has taught woodwind lessons and led ensembles, teaching nearly every age and ability except in early years. Emma hopes that her enthusiasm for what she does and previous experience will guide and colour her work throughout the apprenticeship. 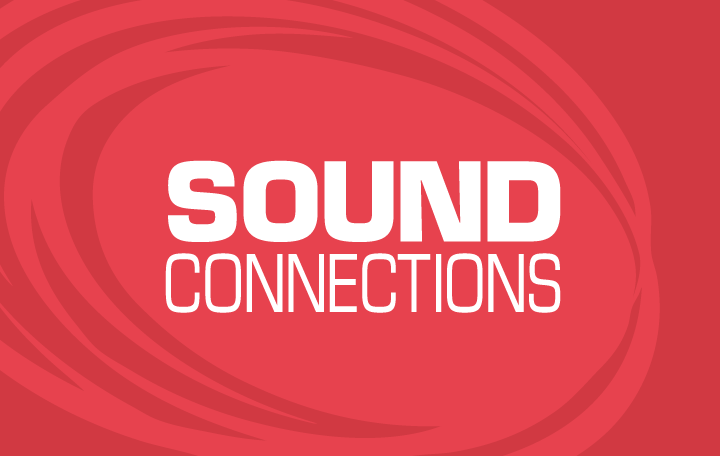 She would like to especially look into how families playing music together from the beginning can influence a child’s understanding and love of music as they develop. Emma is looking forward to being at the very beginning of the musical journey with the youngest of musicians. Alma’s interest in music was inspired by her father who played piano, accordion and banjo as well as singing and dancing. Alma followed in his footsteps and also writes songs and poetry. After having four children she wanted to share her knowledge and passion for music with them. Alma has a range of skills and qualifications in early years and has won an Award for Early Years Practitioner of the Year. Alma’s confidence continues to grow in this field and she is now embarking on joining a rock/jazz choir and jamming band. She is just beginning the next part of her journey; an early years drop-in group that combines knowledge of Early Years Foundation Stage and supporting the community. 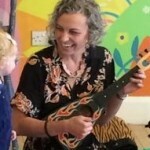 Jenny is a music teacher, early years practitioner and performer based in East London. She benefited from an excellent music education, and is inspired by helping young people to have a positive introduction to music. She has a BMus and PGCE, and has had a successful career as a music teacher working in a range of London schools from Reception to KS5. Jenny set up and runs the organisation Musical Miniatures which offers music classes to 0-5year olds. As a professionally trained saxophonist Jenny enjoys exposing children to live music in her classes and performs to her students on a wide range of instruments. She is Musical Director of the Bethnal Green Bigband and gigs as a semi-professional musician. 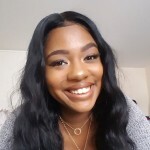 Through the LEYMN apprenticeship, she is keen to further her knowledge and understanding of development in early years to support and enhance future career opportunities.